It’s National Peanut Butter Day and you can do more than just have a PB&J on this holiday. 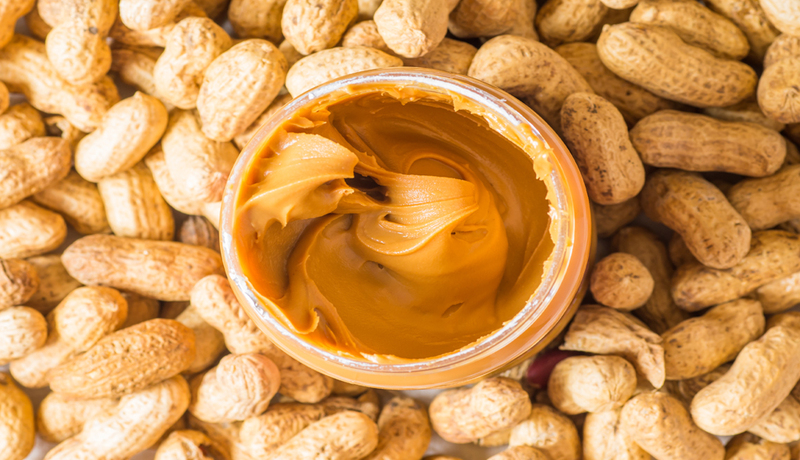 Peanut butter was first invented in the late 1800s and quickly soared in popularity, finding its way into sweet and savory dishes. 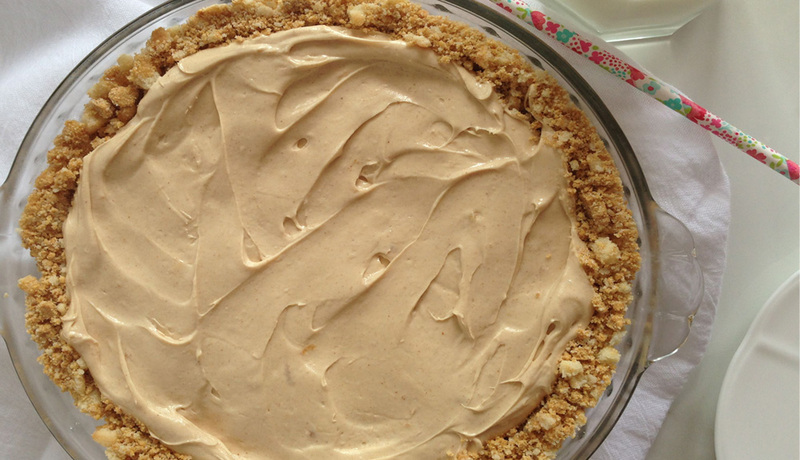 Have fun on National Peanut Butter Day and try out some of these delicious recipes below. 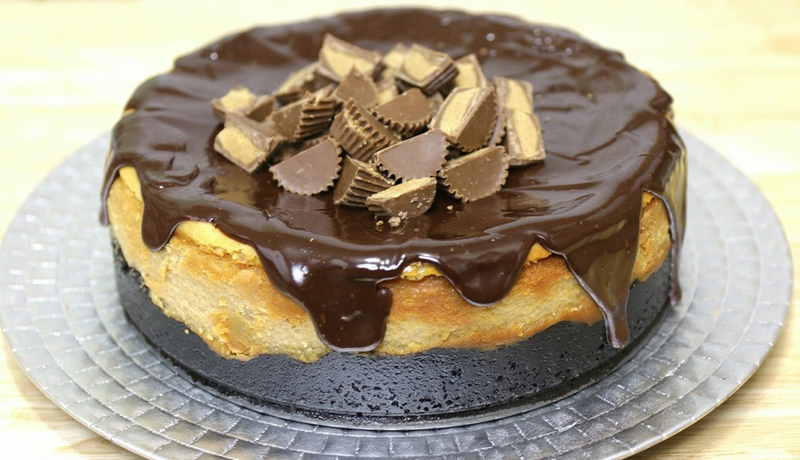 Enjoy the classic combination of peanut butter and chocolate with this recipe. 2. Crumble Nutter Butter cookies finely and blend with melted butter. 3. Press into bottom of eight inch pan. A springform pan is preferable, but you can line the sides of a normal pan with parchment paper so your cake won’t stick. 4. Layer the peanut butter cups along the top of your crust. 5. Beat together cream cheese, sugar, peanut butter, eggs, sour cream, and vanilla until smooth and creamy. 6. Pour on top of the peanut butter cups, place in the oven, and cook for an hour. 7. Turn off the oven, open the door, and let it sit in the oven for one more hour. 8. Refrigerate until firm, which will take at least 5 hours, and serve topped with Reese’s Pieces. 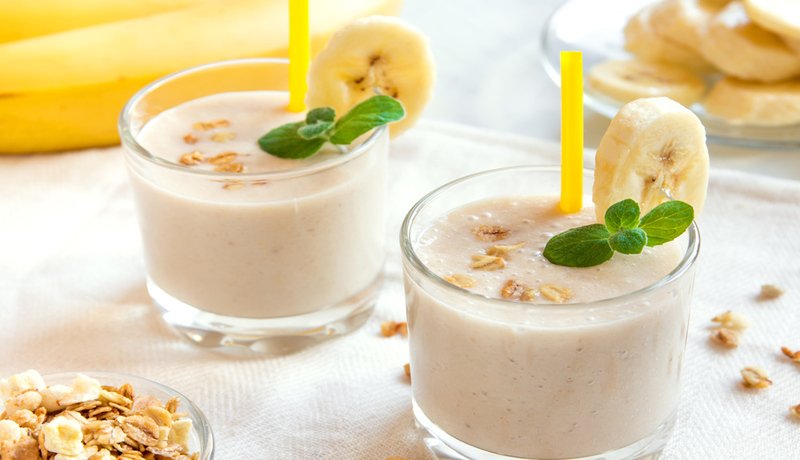 This quick and easy drink is a perfect mid afternoon snack. 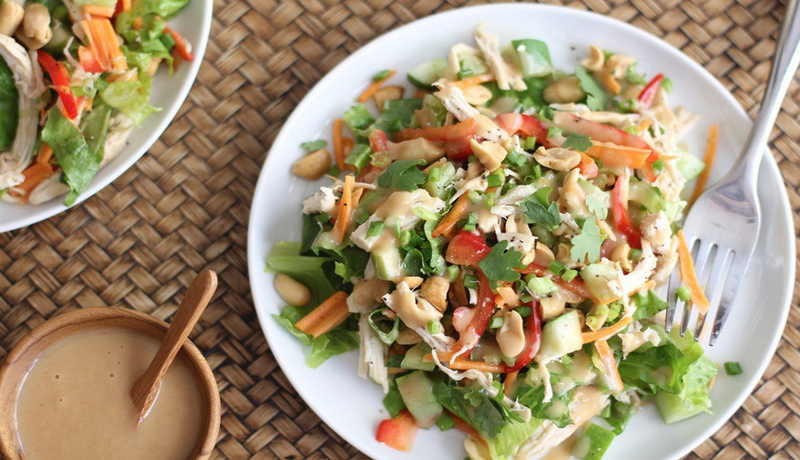 This fresh and light salad uses peanut butter to make a Vietnamese inspired dressing. 1. Warm peanut butter in microwave until slightly liquid. 2. Whisk in soy sauce, rice vinegar, lime juice, and hot sauce to make the dressing. 3. Combine chicken, cabbage, carrot, cilantro, and mint in a large bowl. 4. Drizzle with dressing and toss to serve. Turn the classic lunchtime sandwich into a delicious breakfast with this recipe. 1. 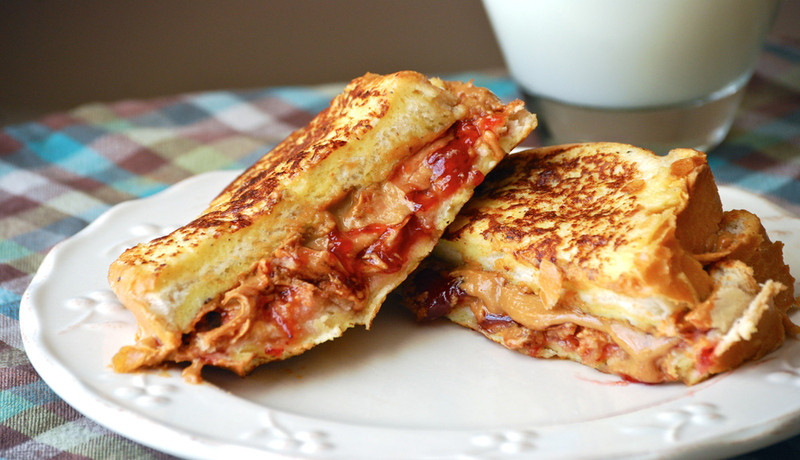 Use the peanut butter, jelly, and bread to make six PB&J sandwiches. 2. Heat the butter in a nonstick pan over medium heat. 3. Whisk together remaining ingredients. 4. Dip each side of each sandwich in batter before placing in pan. 5. Cook on each side for roughly three minutes. Sandwiches are done when golden brown. 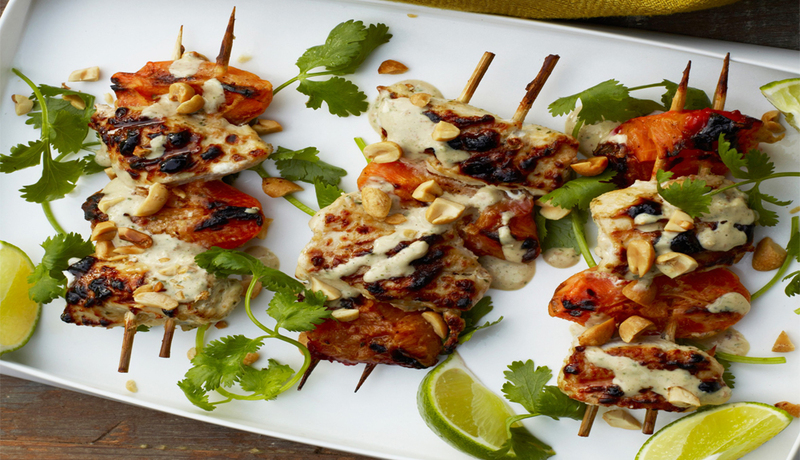 Make a delicious dinner by grilling these tasty peanut-marinated chicken skewers. 1. Blend together yogurt, peanut butter, coconut milk, lime juice, sugar, and garlic until smooth. 2. Stir in jalapeno, salt, and cilantro. 3. Place chicken in the marinade and refrigerate for at least three hours. 4. Thread chicken and apricot halves in alternative segments along skewers. 5. Gently brush leftover marinade over skewers. 6. Grill on a medium hot grill for roughly four minutes on each side, until done. This recipe gets inspiration from The King’s favorite snack, a peanut butter, banana, and bacon sandwich. It might sound crazy, but it’s surprisingly delicious! •	5 tablespoons melted butter or bacon fat. 2. Pulse the bacon and cookies into a food processor until a fine crumb is produced. Mix crumbs with melted fat and press into a 9 inch pie pan. Bake the crust for ten minutes until firm. 3. Beat the pudding mix and milk for two minutes until slightly thickened. 4. Slice the bananas into circles, and layer bananas and pudding in pie until filled. 5. Whip the cream, sugar, and peanut butter until stiff. 6. Top the pie with the whipped cream topping and chopped nuts.